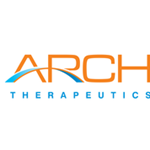 FRAMINGHAM, Mass., Nov. 26, 2018 (GLOBE NEWSWIRE) -- Arch Therapeutics, Inc. (OTCQB: ARTH) ("Arch" or the "Company"), developer of novel liquid, gel and solid hemostatic and wound care devices, will be featured as a presenting company at the LD Micro Main Event XI. The conference is being held on December 4-6, 2018 at the Luxe Sunset Boulevard Hotel in Los Angeles, California. Chief Executive Officer, Terrence W. Norchi, MD will deliver a corporate presentation on Tuesday, December 4 at 12:00 PM Pacific Time in Track 1. The presentation will include an update on the CE mark application that Arch plans to file for AC5™ Topical Hemostat in Europe during the current calendar year, as well as the 510(k) notification for AC5™ Topical Gel1 that Arch submitted to the U.S. Food and Drug Administration (FDA) in the third calendar quarter of 2018. As previously disclosed, the 510(k) notification is under review at the FDA. The company still anticipates that the 510(k) notification will be cleared approximately by the end of this calendar year. Dr. Norchi will be available to meet with investors who are registered to attend the conference. If you are an investor and wish to attend the Company’s presentation or schedule a meeting, please click the following link: https://www.ldmicro.com/events. To access the live webcast, please visit: http://wsw.com/webcast/ldmicro15/arth/. The presentation will be available at: https://www.archtherapeutics.com. Arch Therapeutics, Inc. is a biotechnology company developing a novel approach to stop bleeding (hemostasis), control leaking (sealant) and manage wounds during surgery, trauma and interventional care. Arch is developing products based on an innovative self-assembling barrier technology platform with the goal of making care faster and safer for patients. Arch's development stage product candidates include AC5™ Topical Gel1 and AC5™ Surgical Hemostatic Device1.